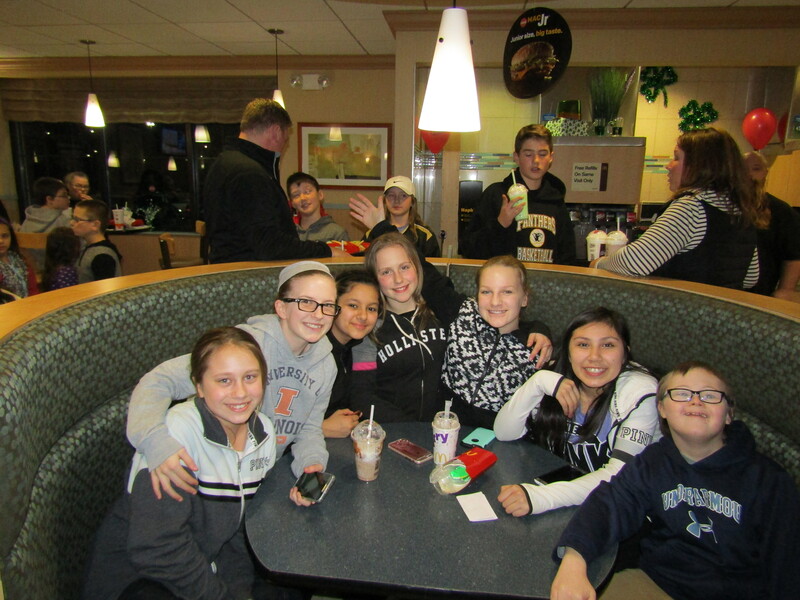 On Tuesday, March 7th, Stratford Middle School of CCSD93 held a McTeacher’s Night Fundraiser at the Bear Family McDonald’s Located at 72 Stratford Dr in Bloomingdale . 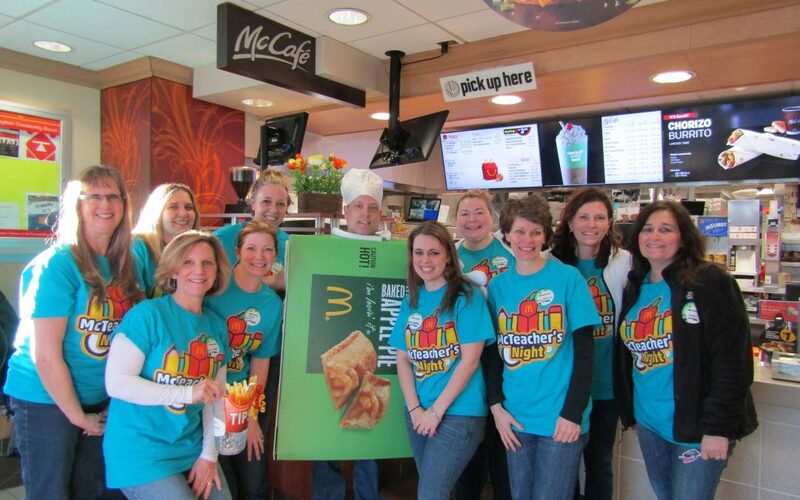 A McTeacher’s Night is organized to help raise money for local schools by having teachers work at McDonald’s and then giving a percentage of the night’s sales to the school. 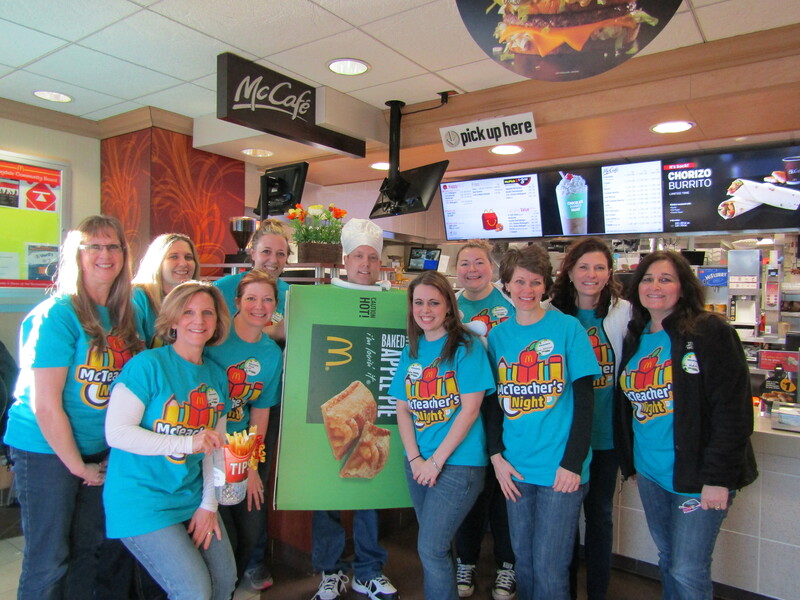 Stratford Middle Staff came dressed in their McTeacher Night shirts well prepared to serve freshly prepared meals to students and their families to raise money for their school. 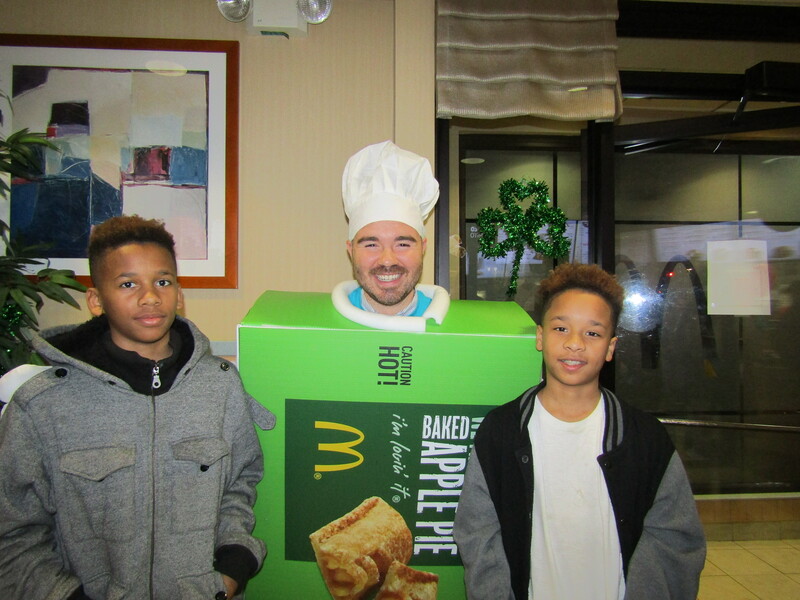 The McTeacher jobs included greeting guests, cleaning the lobby, working the front counter, serving drinks, clearing tables, selling pies, serving ice cream and even dressing up in a pie costume—all duties which were executed with big smiles and great enthusiasm. The students were exceptionally excited to see their Principal Mr. Dawson dressed as a pie and couldn’t wait to get a picture with him. A Special thank you goes to teacher Nicole Thorsen for organizing the entire event as well as everyone who came out to work and support this wonderful event. The school plans to use the over $700.00 dollars raised to go towards 8th grade end of year activities. The McTeacher Night was courtesy of the Owner/Operator, The Bear Family. Like us on Facebook at https://www.facebook.com/McDonalds-at-72-Stratford-Square-Dr-128766413837914/ and check out the website at www.bearfamilyrestaurants.com. For more information about events provided by the Bloomingdale McDonald’s contact Community Relations Director Julie Travers at julie.travers@comcast.net.